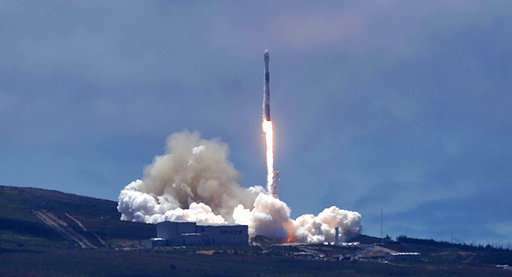 A SpaceX Falcon 9 rocket successfully launched a pair of U.S.-German science satellites and five commercial communications satellites into orbit from California on Tuesday. 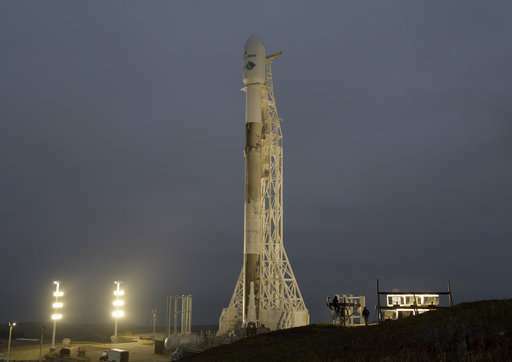 The rocket roared off from a pad at Vandenberg Air Force Base at 12:47 p.m. and arced over the Pacific Ocean west of Los Angeles as it headed toward the South Pole. Its upper stage deployed the research satellites minutes after reaching orbit. 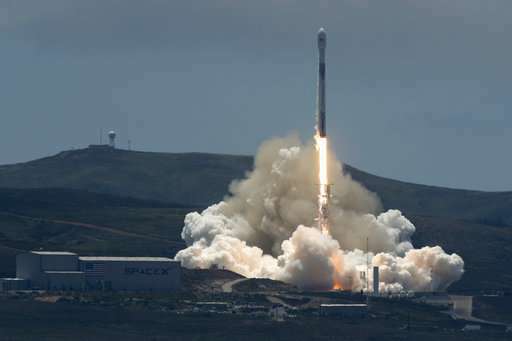 The satellites for Iridium Communications' next-generation fleet were released in a process completed a little more than an hour after liftoff. Called GRACE-FO, for short, the mission will detect the movement of Earth's water masses and changes in mass within the planet by measuring variations in gravity through tiny fluctuations in the distance between the two satellites as they orbit 137 miles (220 kilometers) apart—roughly the distance between Los Angeles and San Diego—at an altitude of about 304 miles (490 kilometers). The technique, for example, has shown reductions of mass in Greenland and Antarctica due to enormous losses of water into the oceans each year. GRACE also showed how central California was affected by recent years of drought as water was pumped from a major aquifer, Webb said. "During that drought California lost weight—water weight—as farmers and agriculture pumped out more water to meet the needs that weren't being met by the snowpack in the mountains with the rainfall," Webb said. There was some recovery in the amount of mass—water in the ground—due to heavy rains just as the original GRACE mission was ending, but despite the gap in measurements, the new mission will allow scientists to see how much water stayed in the ground and how much ran off into the ocean, Webb said. NASA contributed $430 million to the new mission and the German contribution was 77 million euros, officials said. 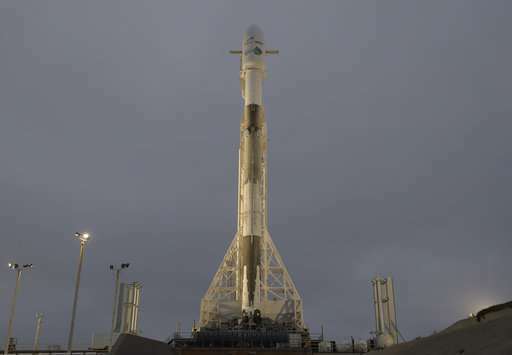 The commercial side of the launch was the sixth in Iridium Communications' $3 billion campaign to replace its entire fleet of globe-circling satellites for mobile communications. 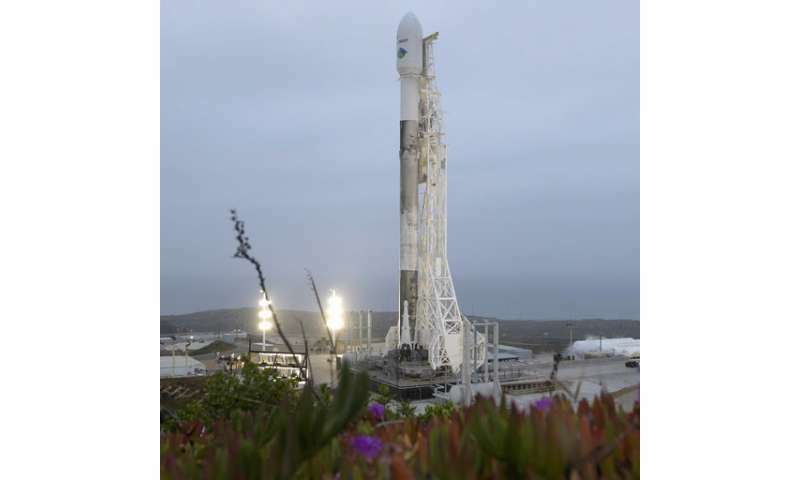 The Iridium satellites also provide platforms for a space-based air traffic management system from joint venture Aerion LLC. The United Kingdom's public-private air traffic management partnership known as NATS announced last week that it has invested $69 million in Aerion, worth about 10 percent equity.